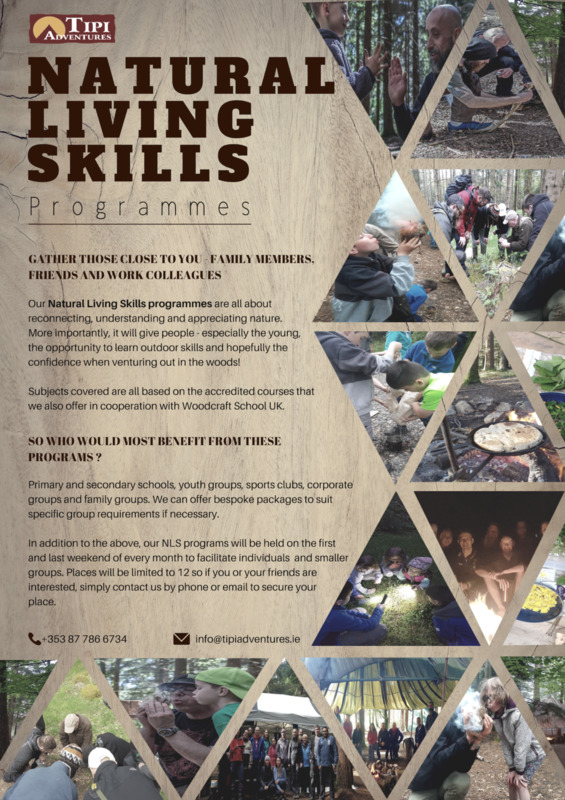 Natural Living Skills 1 - 1 day programme involving theory, practical, demos plus 1 night wild camping in the woods. Participants will receive our "Natural Living Skills Patch" at the end of the workshop with the Tipi Adventures Ireland NLS programmes Logo. Under 18 accompanied by an adult. * All participants must sign our disclaimer form.